We are delighted at our recently released, outstanding NPS® customer service reports obtained through client feedback questionnaires. Whilst many recognised businesses celebrate their gains on what appears on the bottom line, our focus has – and always will – be centered on advocacy and building a loyal and extended travel family. NPS gives us the perfect insight from various points along the customer journey, providing a comprehensive, actionable view of your customer experience performance. 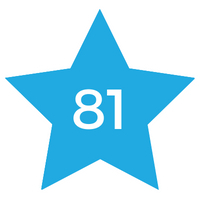  Promoters (score 9-10/10) are loyal enthusiasts who will keep buying and refer others, fuelling growth.  Passives (score 7-8) are satisfied but unenthusiastic customers who are vulnerable to competitive offerings. ☹️ Detractors (score 0-6) are unhappy customers who can damage your brand and impede growth through negative word-of-mouth. NPS is the key measure of our customers’ overall perception of our brand and we have every reason to be very proud of what the people that matter think of our Company. NPS also offers a perfect insight from various points along the customer journey, releasing a comprehensive, actionable view of your customer experience performance. 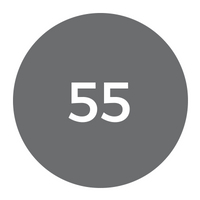 Put simply our NPS score is outstanding across all elements of our brand. We wanted to put it into context for you because we are very proud of how you value our service. Competing with some of the biggest brands in the world isn’t something we take lightly and aspire not only to maintain this but also strive to improve. These figures are based on all our customers who have completed surveys and travelled on tours with us in the last 12 months across 44 tours. 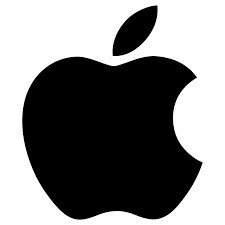 Apple is one of the largest brands in the world and one of the biggest advocates of the Net Promoter Score®. The multinational technology giant introduced the NPS system back in 2007. They have systematically and religiously listened to customers and basing the management of its business in response to their needs. Since introducing NPS, Apple has achieved one of the highest scores in any sector, reaching 89 in 2016. 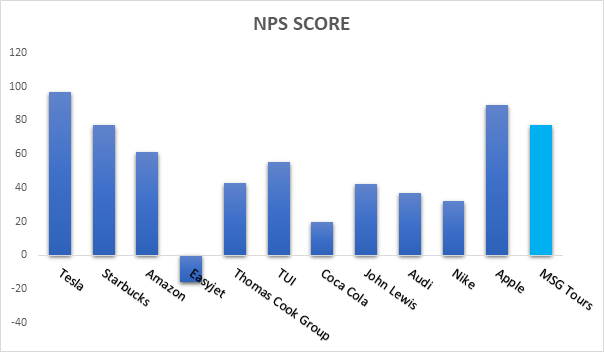 However, the retailer’s high NPS did not happen by pure luck. It was achieved through careful listening to customer feedback, quickly closing the loop and engaging all Apple employees with NPS. Here are four key ingredients fuelling Apple’s world-class NPS. The late Apple visionary Steve Jobs realized that the key to a sustainable business growth is focusing on the needs and wants of the customer and having them at the core of everything you do. 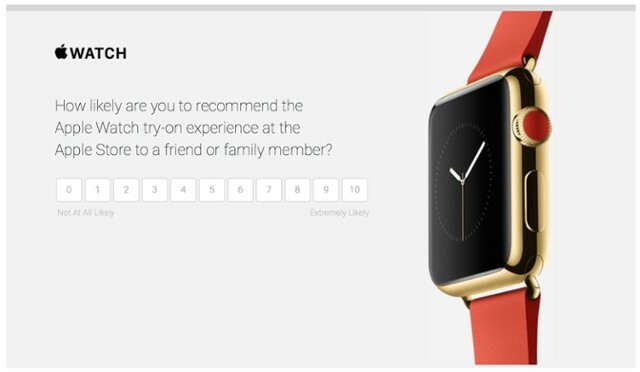 As previously mentioned, Apple was one of the first proponents of the Net Promoter Score. The brand uses NPS to listen to customers and make decisions based on their feedback. The company emails surveys to customers right after they have made a purchase. Customers are asked to rate their satisfaction level and likelihood to recommend the brand. Apple’s centralized NPS team uses customer feedback to better understand the reasons that turn customers into promoters or detractors. Furthermore, Apple’s team does a daily stand-up, where employees review the NPS feedback received and discuss how to adjust their work accordingly. In this way, the company makes sure its employees understand the importance of paying attention to customer feedback and delighting customers. Following an NPS survey, Apple store managers call detractors within 24 hours. Research has found that companies that close the loop quickly after receiving customer feedback, experience a 10% increase in retention. This is even more important when it comes to closing the loop with detractors. Apple has found that by following up with dissatisfied customers 24 hours after completing an NPS survey has resulted in great return on investment. Apple was also one of the first proponents of the idea that having employees as your brand promoters is equally important as well. Employees are one of the first points of contact customers have with your brand. Therefore, it is important that employees are true brand evangelists, capable of turning customers into promoters as well. Today, Apple continues to pay attention to customer feedback and experience. Like Apple, we use NPS to continuously gauge customer satisfaction, and, as a result, are one of the major leaders in NPS in our niche industry. Buying, opening and using an Apple product is a memorable experience for customers, which leaves them satisfied with the brand and happy to recommend to friends and family and we can only hope that the same can be said for this feeling on one of our bespoke tours. This company, like our technological giant heroes, pays close attention to customer feedback received from NPS surveys and uses it daily to manage every tour (just like Apple for their three-hundred plus stores and billions of customers). Quickly closing the loop with detractors has helped Apple and in turn, MSG generates a good return on investment (ROI) with increased bookings through repeat travellers. Finally, engaging all employees with an NPS program has led to increased trust among the team and high customer satisfaction. These four steps have become key ingredients fuelling Apple’s strong NPS and here at MSG Tours, why wouldn’t we learn from and follow the very best in the business?